Unfolded: 502 x 455 x 94 mm . Collapsed: 217 x 102 x 94 mm. 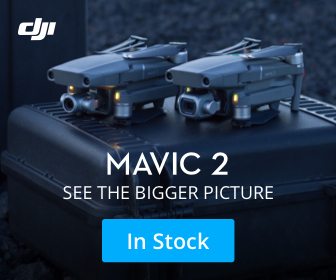 What comes to mind when you first stare at the Obtain C-Fly F803 is the DJI Mavic Pro. Yes, it’s an almost exact copy of the popular DJI Mavic Pro. But if you’ve been in this space long enough, you are aware that this is not the first attempt to clone the Mavic Pro. TIANQU XS809W, Eachine 58, Walkera Vitus 4K are all imitations of the Mavic Pro but has any of them came any close to matching the latter’s quality and performance? Well, not really. Obtain C-FLY F803 is on the same mission. So let’s find out how it fairs. As you would guess, the C-FLY F803 is a foldable drone. You can fold its propeller arms when you want to transport or store it. It comes in two colors: black and white and weighs only 810 grams. Generally, the drone has reasonably fewer features than the Mavic Pro with regards to design. Performance-wise, the drone has a top speed of 54 km/h and can fly for up to 26 minutes, thanks to its 3800 mAh battery. You have to remember that the drone comes at an attractive price and when you match it against its performance, there isn’t much to complain about. Presence of a one-key-return function means you can have the drone return to its starting point automatically by simply pushing a button. Banggood and Gearbest have two variants of the C-FLY F803: A WiFi-controlled model and an RTF Version with a transmitter. The former is the cheapest version while the latter, which has a 2.4H transmitter, is the expensive version. However, just like the design, the drone has significantly fewer performance functions than the Mavic Pro. Unfortunately, you won’t be getting the coveted 12MP camera like DJI’s. C-FLY F803 only features a 5-MP camera but what’s good to note about it is that it’s mounted on a 3-axis gimbal to ensure that your aerial videos and photos are smooth and free from any vibration. Further, the drone has an HD real-time image transmission (FPV). You can get these footages from your iOS or Android phone. The app is free. FPV images boast of 720P HD quality, the videos 1080P Full HD, while the photo pixel quality is set at 250 X 1440. A GPS positioning system that lets it fly on its own when no control commands are given. At its price, which is almost half of what DJI Mavic Pro costs, the C-FLY F803 appears to be worth a try.